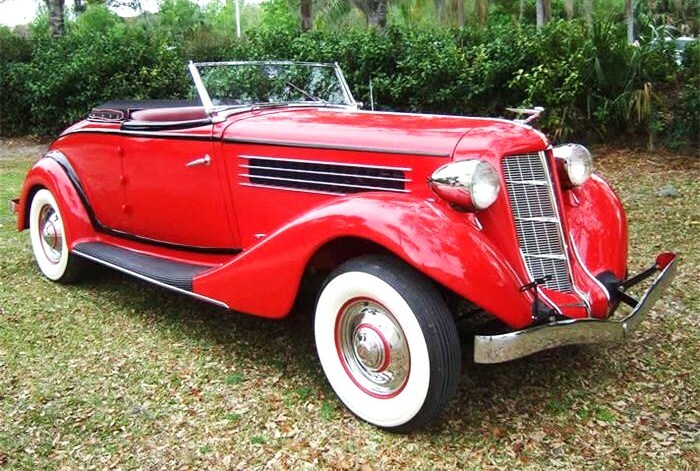 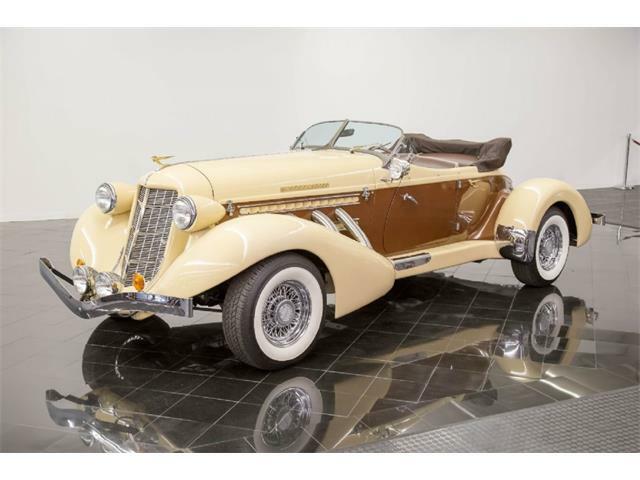 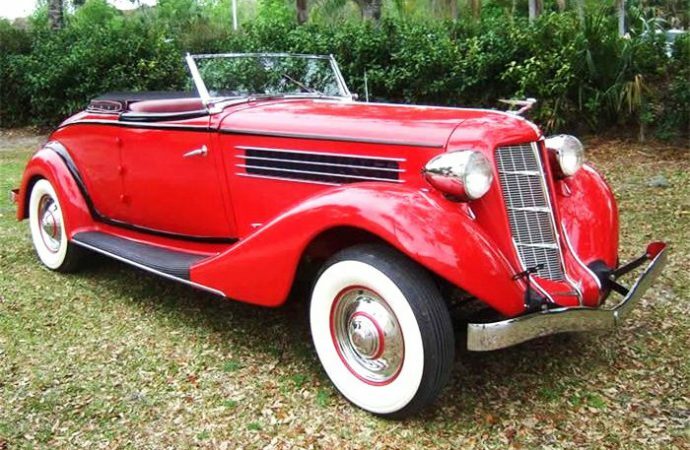 In honor of the 20th anniversary of the Amelia Island Concours d’Elegance next week, the Pick of the Week is an elegant and sporty 1930s classic that’s also located in Florida. 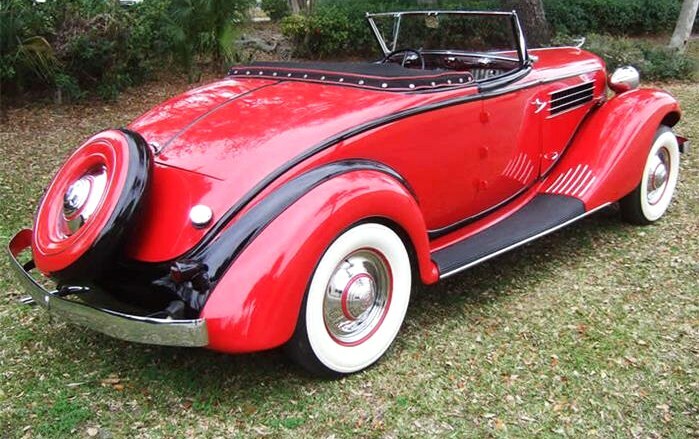 This 1935 Auburn 851 Cabriolet is fully restored, according to the seller, in an eye-catching paint scheme of bright red with black accents, red upholstery and black fabric top. 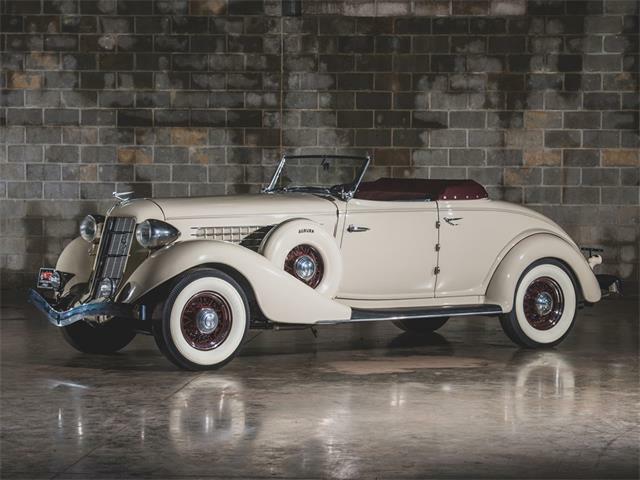 The Cabriolet might not be as familiar as Auburn’s legendary boat-tail Speedster, but it is a gorgeous convertible that exemplifies the streamlined styling of the era. 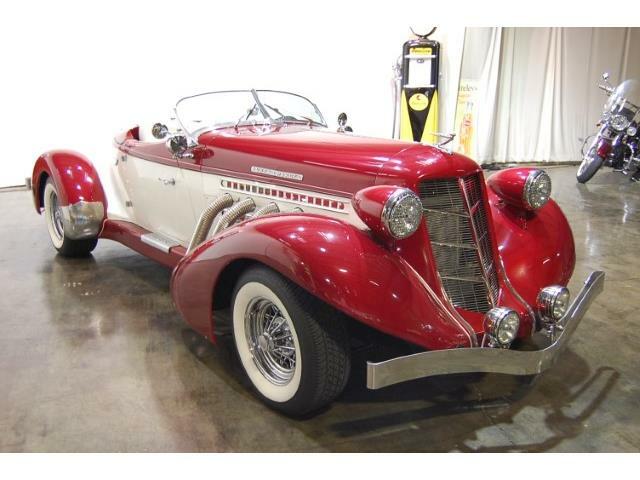 This sports model was originally penned by Auburn designer Al Leamy, who left the Auburn-Cord-Duesenberg dynasty in 1934. 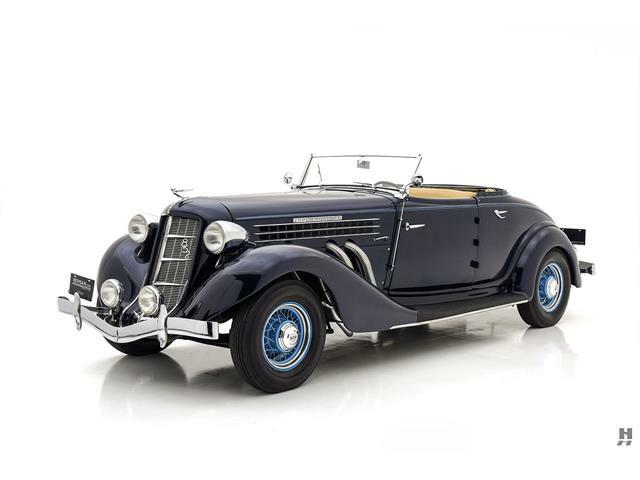 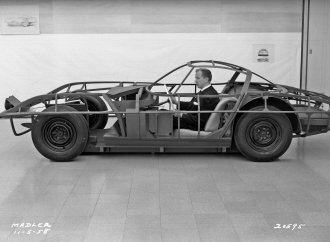 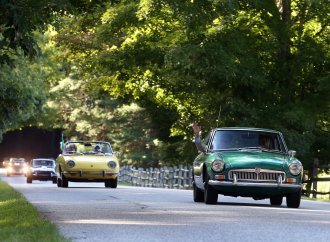 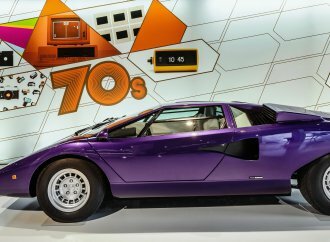 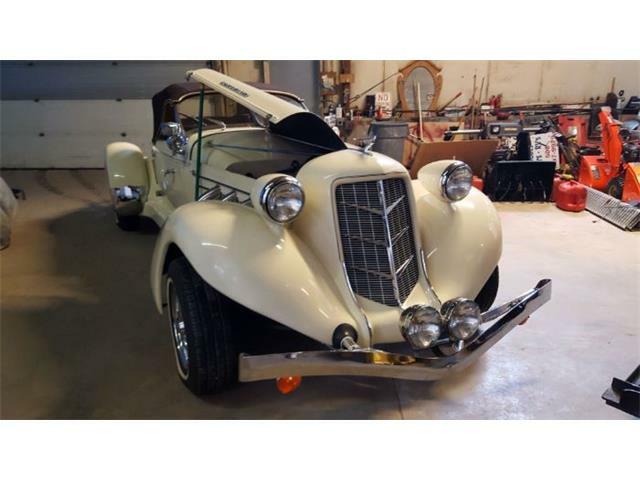 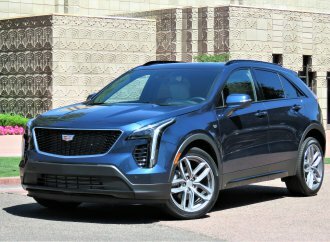 The finished product is attributed to the acclaimed Gordon Buehrig and his design team, which mainly contributed the distinctive grille, front fenders and other details. 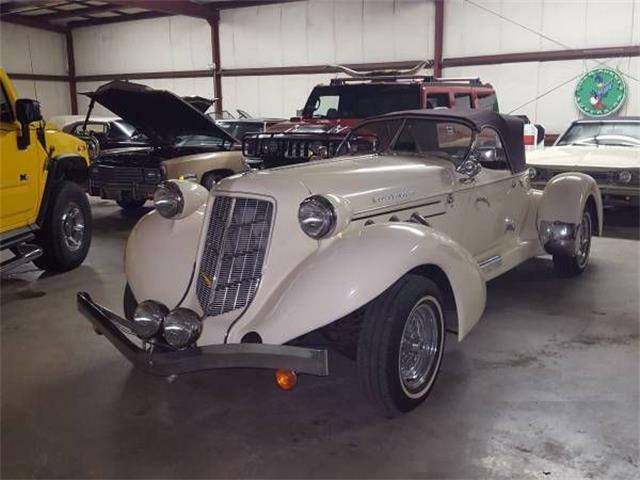 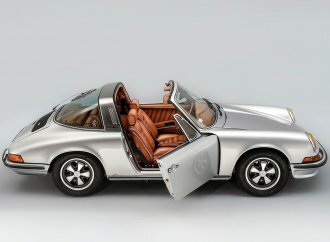 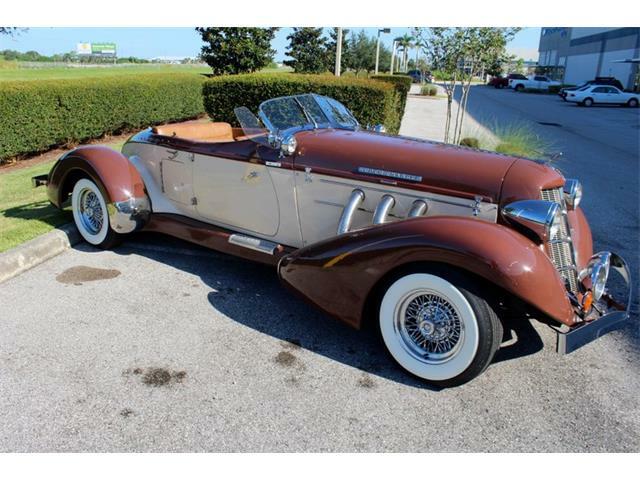 The Sarasota classic car dealership that’s advertising the Auburn on ClassicCars.com is a bit light on the description, but that’s made up with a gallery of 100 photos that show the car’s pristine bodywork, interior, engine compartment and undercarriage. 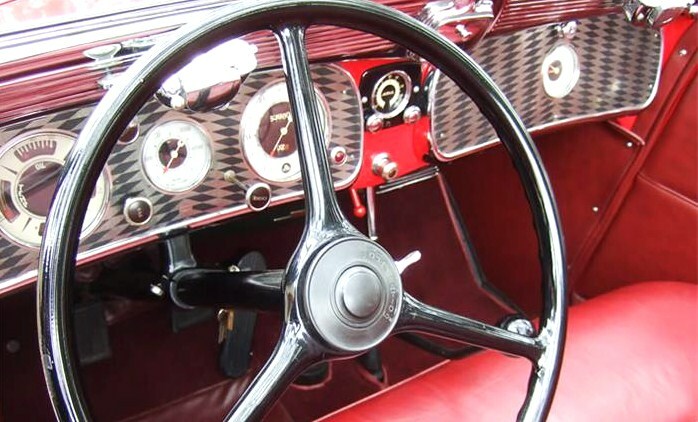 The striking dashboard is totally decked out with Art Deco design cues. 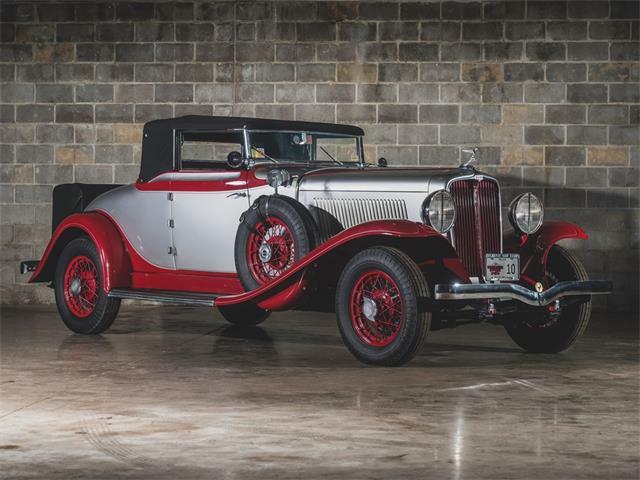 The 851 is powered by a normally aspirated Lycoming straight-8 engine, which is less rare or valuable than the more-potent supercharged version. 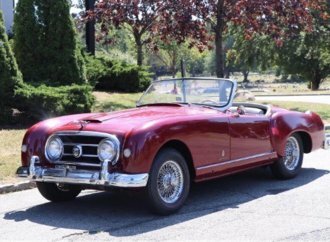 Still, it is one of just 1,850 Cabriolets built, the seller notes, and it would be a joy to drive and show. 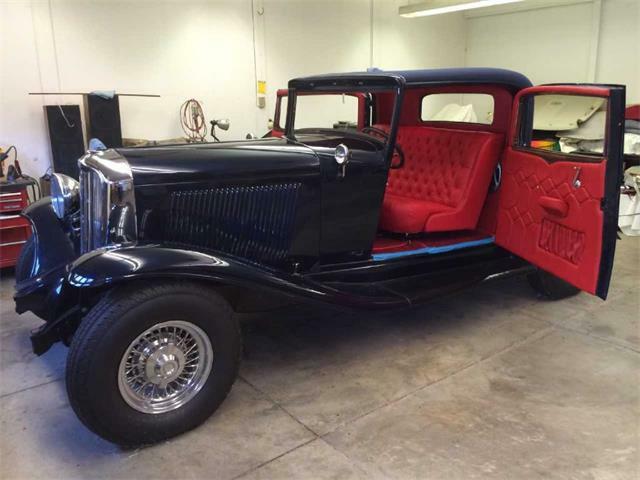 Naturally, these things don’t come cheap, and the asking price is $149,900. 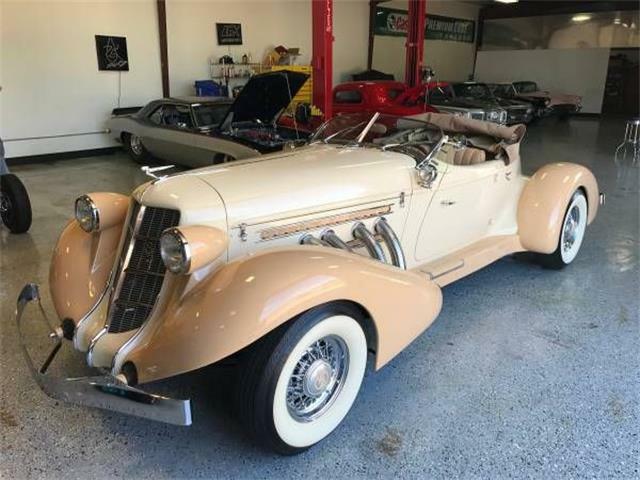 But it never hurts to dream, especially when you imagine yourself driving this lovely Auburn along the Gulf Coast, top down on a balmy spring day.